The 5-piece 4.0m long design of the Nexave Surf makes for easy storage and transportation. 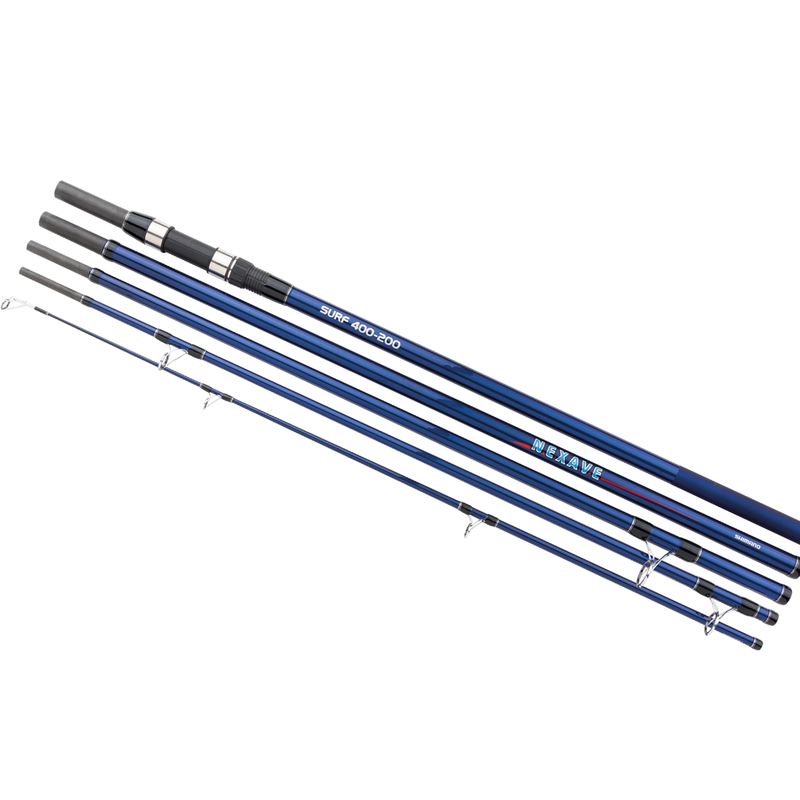 It is the ideal surf casting rod for a short fishing session, or just to have with you in case a fishing opportunity comes along. Combining lightweight yet robust anodised steel frames with Aluminium Oxide liners, Shimano’s Hardlite (SiH) guides offer the ideal balance of strength and performance without compromise.